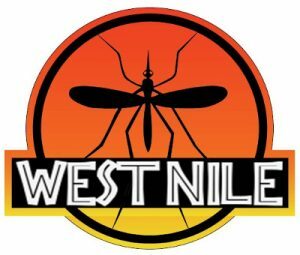 The CWHC Western Northern region has diagnosed the first case of West Nile virus (WNV) in the Saskatoon area in 2017. The diagnosis was made in a fledgling black-billed magpie that was found on the ground in a residential yard. The bird was taken to the Veterinary Medical Centre at the Western College of Veterinary Medicine on July 31st where it was admitted to the exotics ward. Clinically, the bird was in poor body condition, had dull mentation, but no obvious injuries. It was found dead on August 2nd and submitted to the CWHC for autopsy the next day. At autopsy the bird had low pectoral muscle mass and pallor in the myocardium. Examination of tissues with the light microscope revealed abnormalities consistent with WNV infection and tissues submitted to Prairie Diagnostic Services for immunohistochemical staining were positive for the virus, confirming the diagnosis. 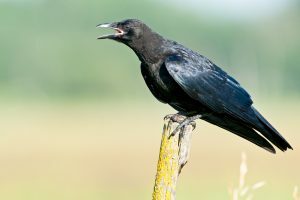 Though many bird species are susceptible to WNV, corvids (crows, ravens, jays, magpies and nutcrackers) have a very high mortality rate and in the past WNV surveillance programs were based on the detection of the disease in corvids which generally preceded human cases by two to six weeks. This gave people an early warning to remain vigilant during peak WNV times. Surveillance is now more dependent on the detection of positive mosquito pools undertaken by the Saskatchewan Ministry of Health. To date the Saskatoon region has very low numbers of the mosquito (Culex tarsalis), that carries the disease, and no mosquitoes have tested positive from the region. Although there is no longer a targeted surveillance program for WNV in dead birds, the CWHC continues to monitor for this disease through autopsy submissions to our laboratories. 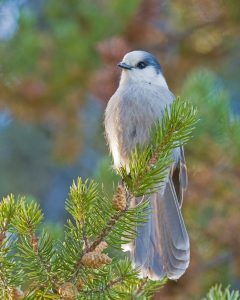 Contributed by Marnie Zimmer, Wildlife Biologist, CWHC Western/Northern.